This handmade gift pack includes three baby bibs featuring bright and colorful patterns. The velcro closure is quick and easy! The bibs are made using all cotton fabrics and threads. All of my products are made in a smoke free and pet free environment. 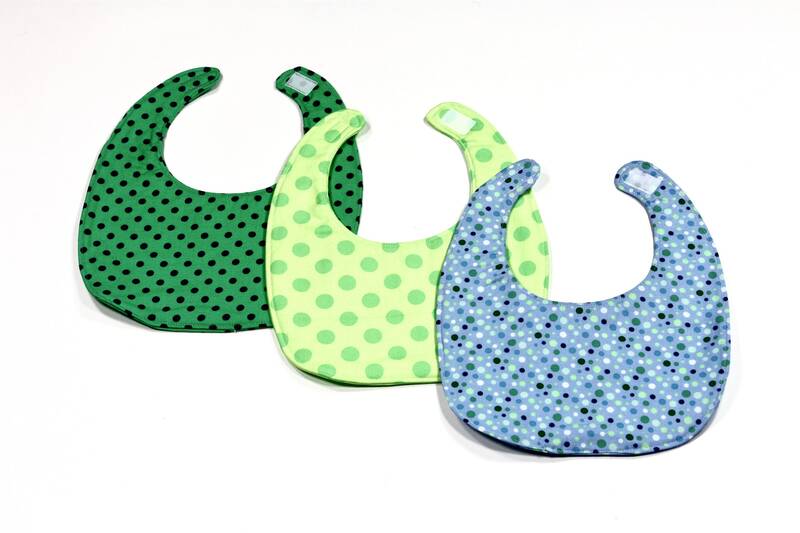 These bibs make a great holiday gift!